Odd Future's leading man Tyler, the Creator collaborates with Vans Syndcate on a four pair collection featuring the iconic Old Skool. 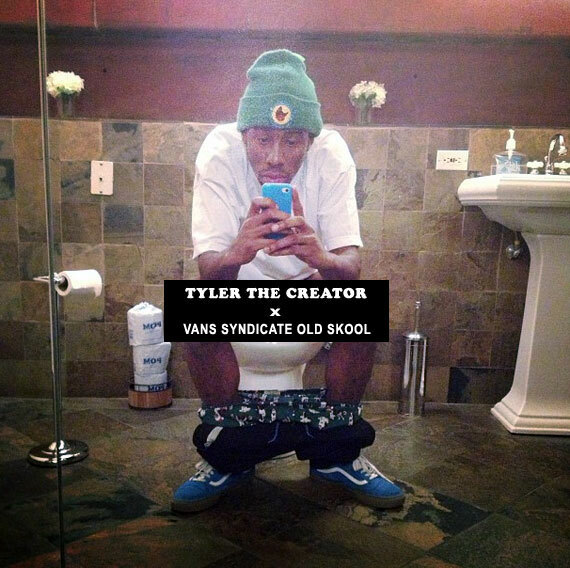 Seen on Tyler's feet in the photos below, the collaboration consists of the Old Skool in four suede builds above gum rubber vulcanized soles. 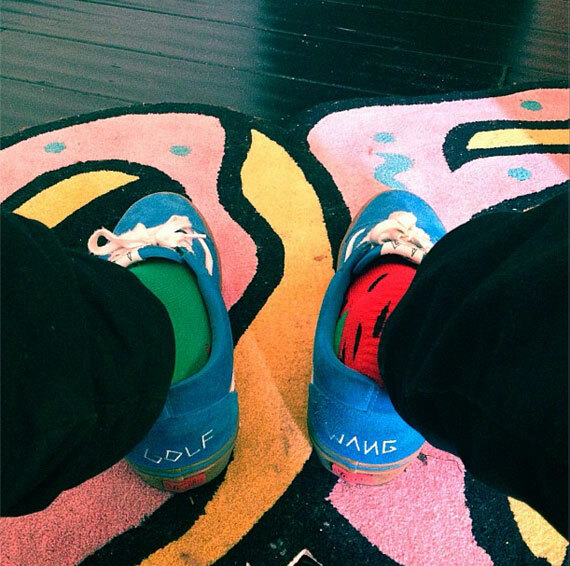 We'll see black, blue, tan and red colorways, with each pair featuring "Golf Wang" stitched into the heel cap. 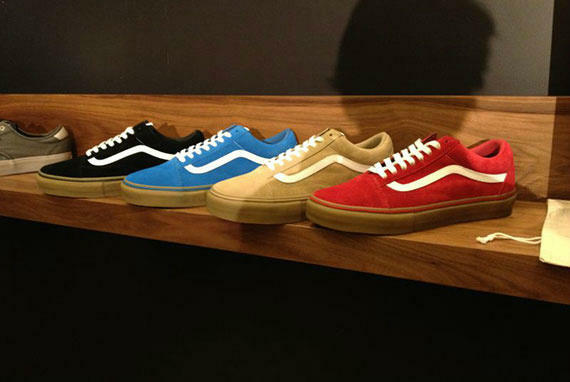 Stay tuned to Sole Collector for further details on the release of the Tyler, the Creator x Vans Syndicate Old Skool.